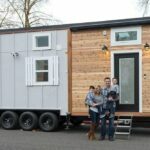 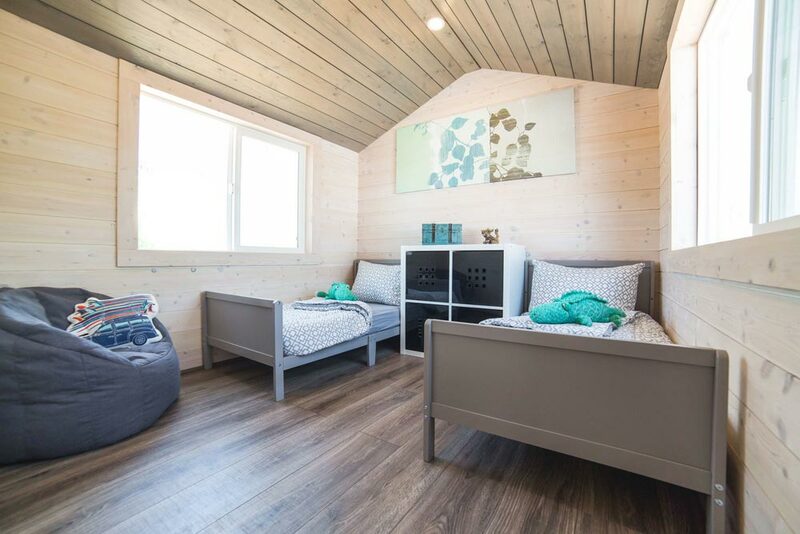 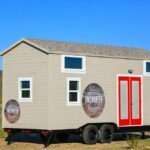 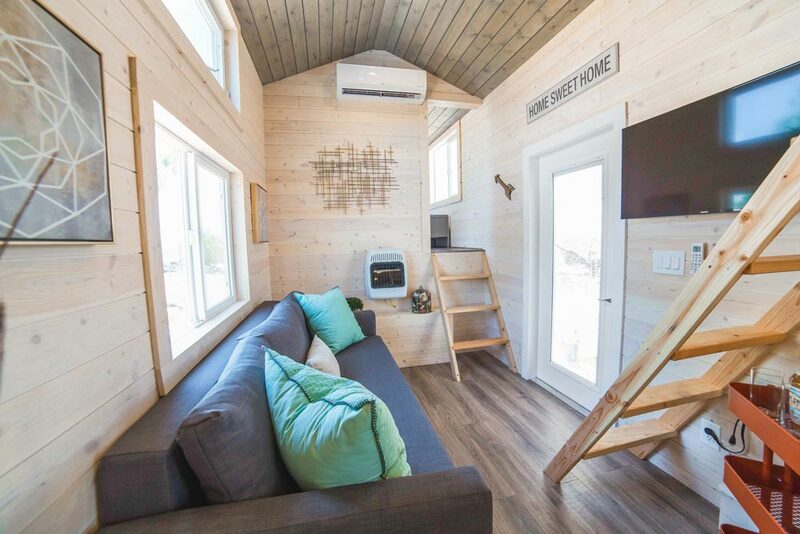 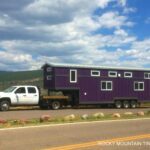 With its master loft and separate room for two kids, the Bunkhouse makes for a family-friendly gooseneck tiny house. 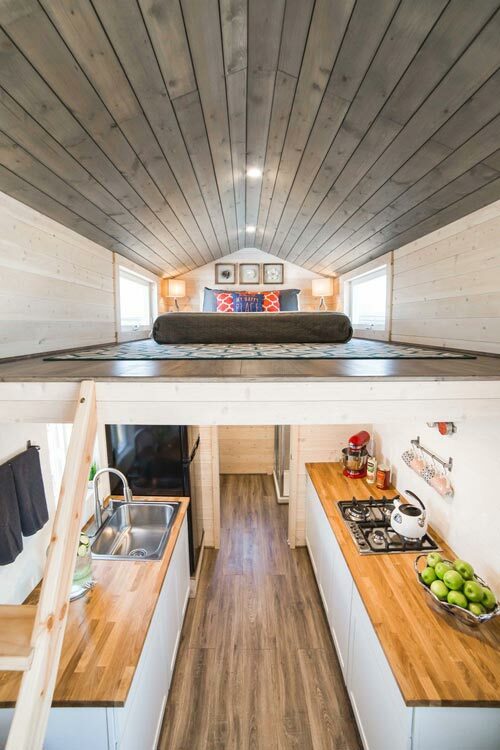 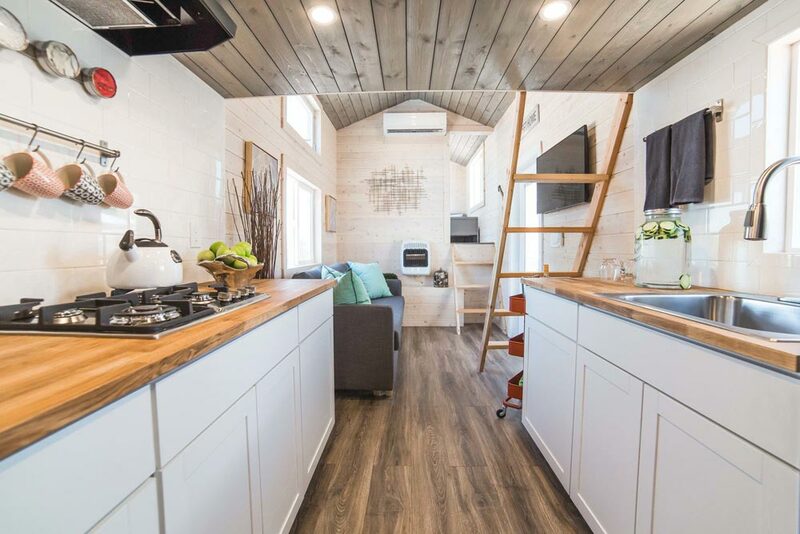 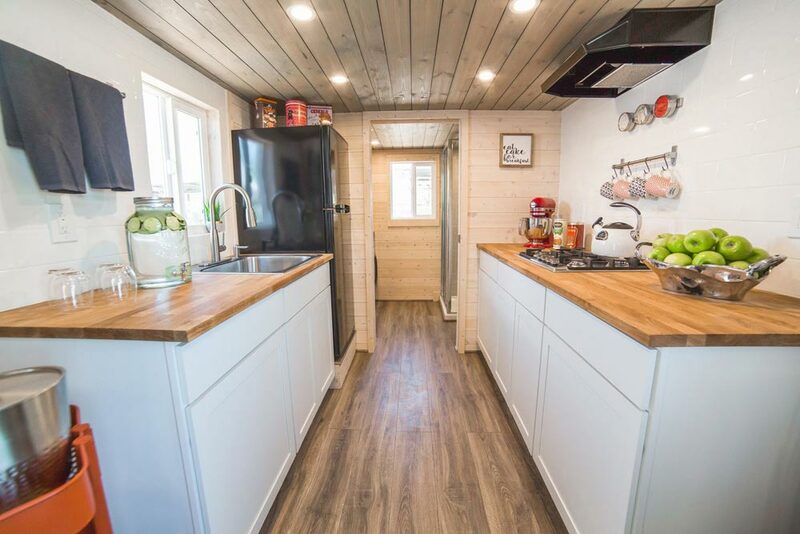 Built by Uncharted Tiny Homes, the 310-square-foot home has two built-in twin sized private bunks over the deck. 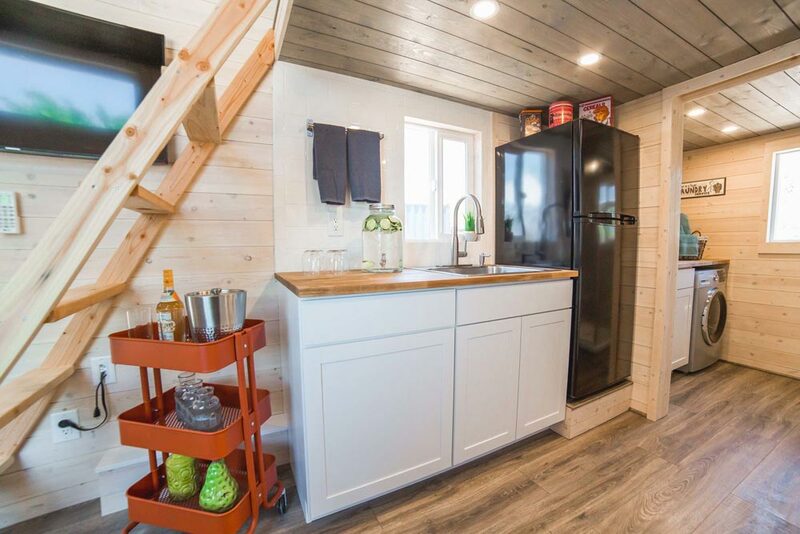 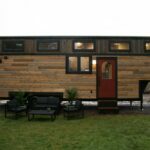 The Bunkhouse was built on a 30-foot trailer and has a 12-foot master loft over the kitchen and bathroom. 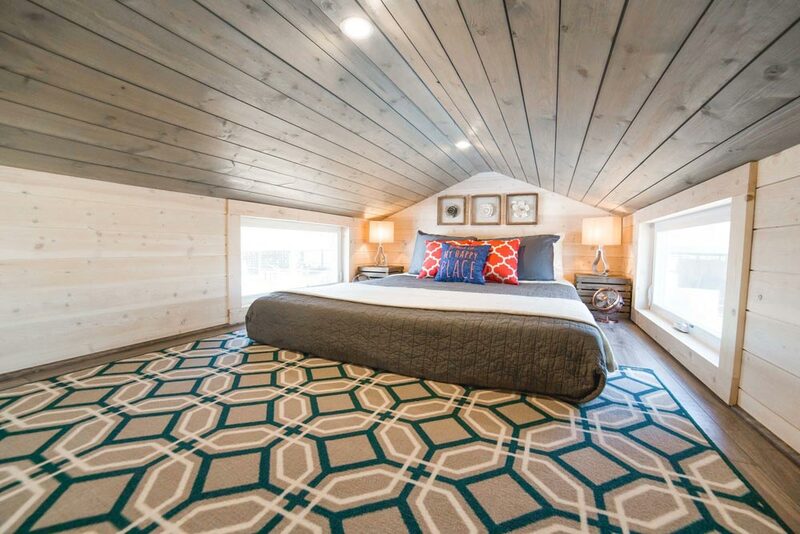 The loft is large enough for a king bed, plus there is extra room for a dresser. 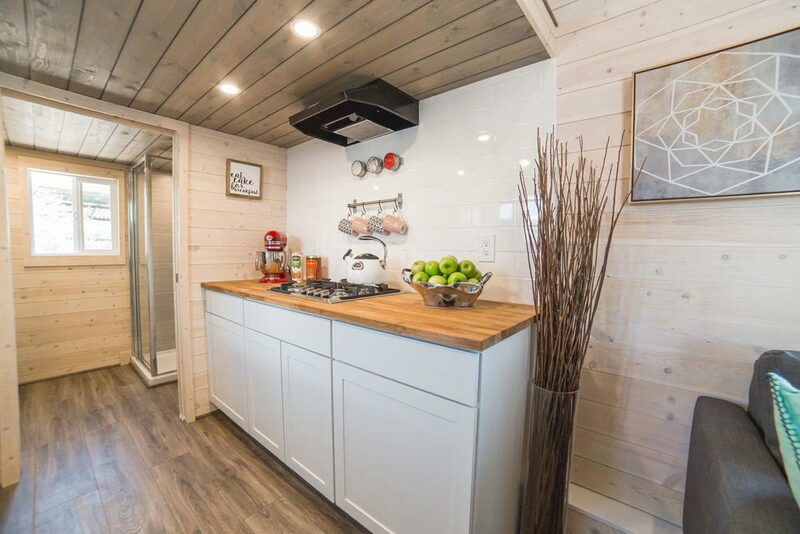 The galley kitchen is equipped with a four burner cooktop, apartment size refrigerator, and large stainless steel sink. 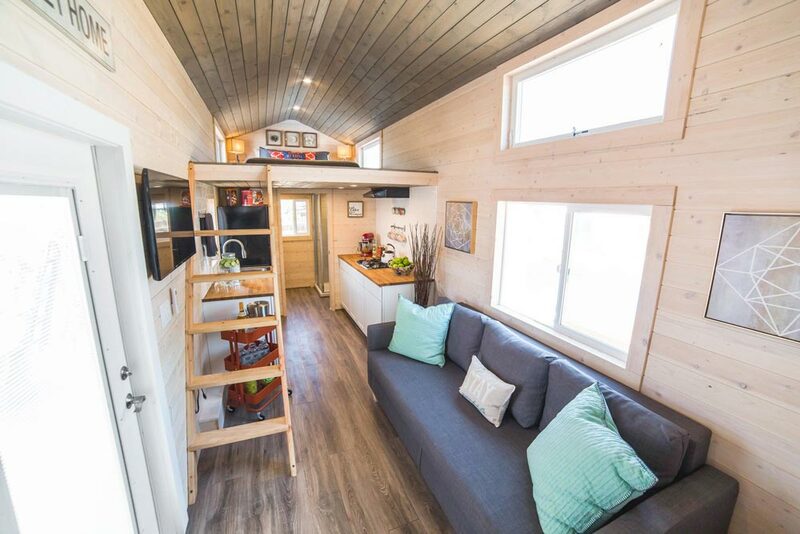 The living room is large enough to accommodate an 11-foot sectional and has a place to mount an LCD TV. 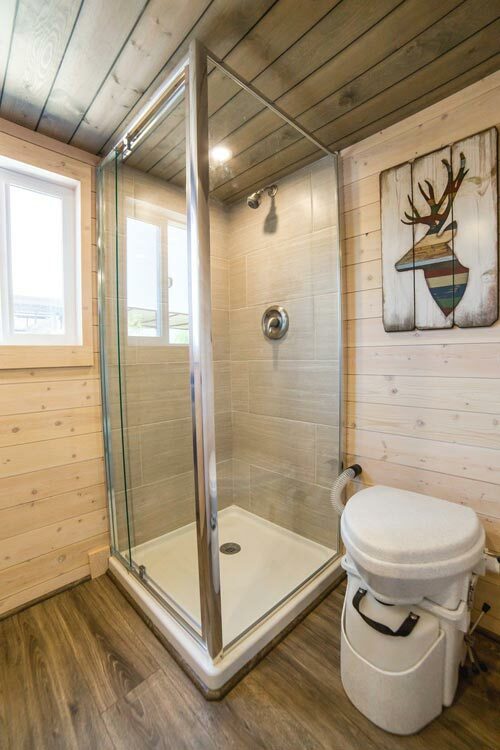 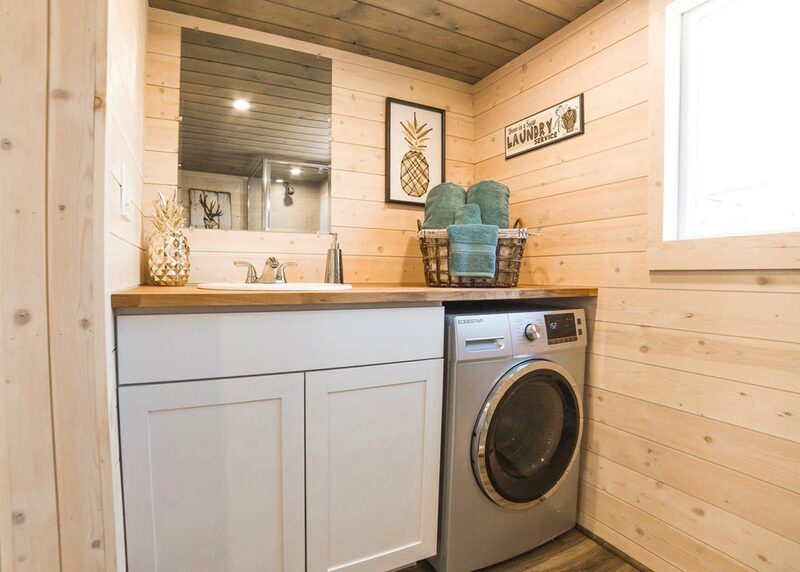 The bathroom has a shower stall, composting toilet, and washer/dryer combo. 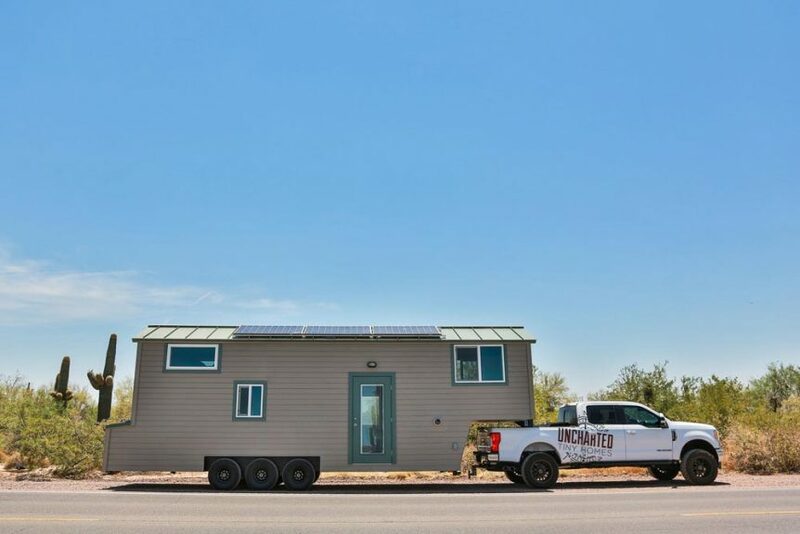 A solar panel array will allow the client and her kids to live off-grid for extended periods. 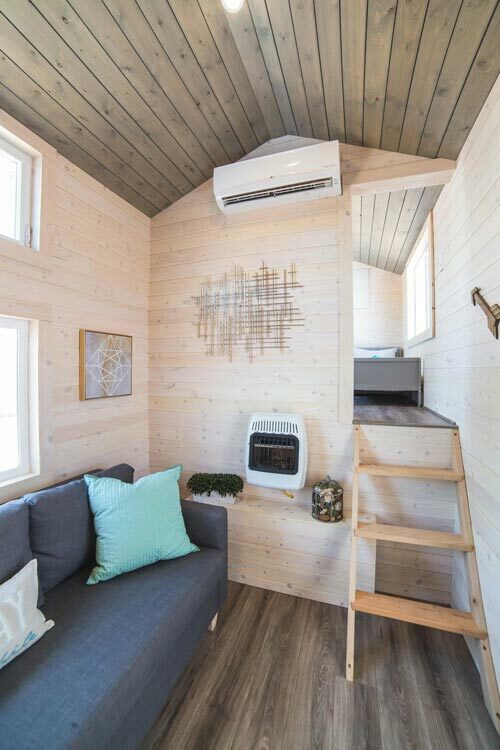 An exterior storage compartment houses the solar equipment, propane tanks, and ductless mini-split system. 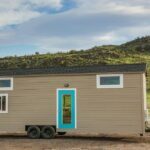 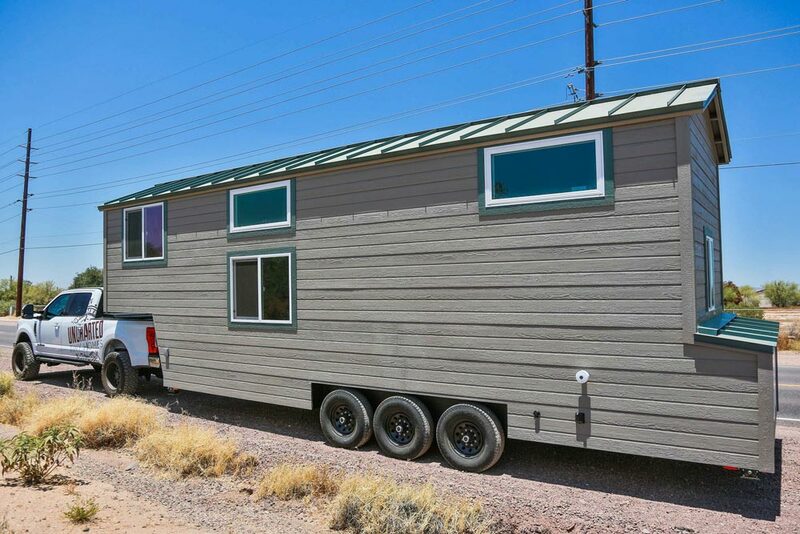 The Bunkhouse is priced starting at $65,000. 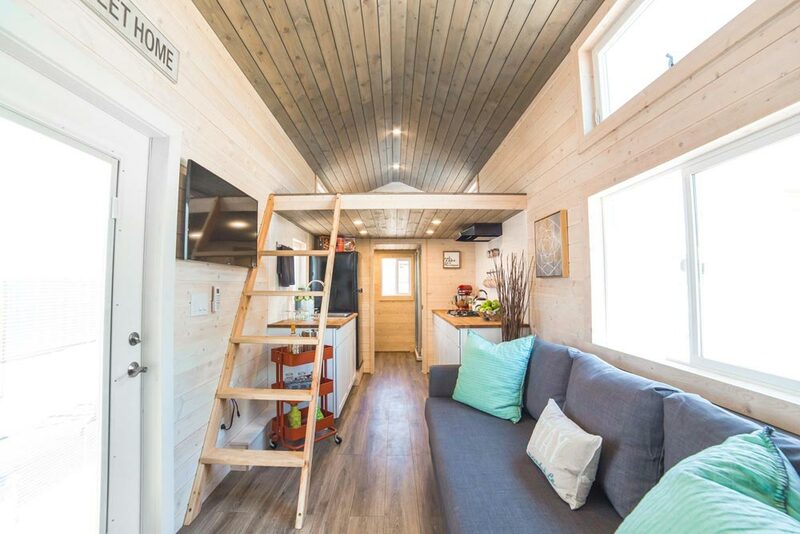 As shown, the price is approximately $90,000 including the solar panel system. 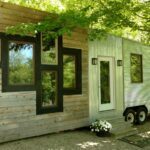 Also available from Uncharted Tiny Homes: Mansion Jr, Mansion, Mansion Elite.